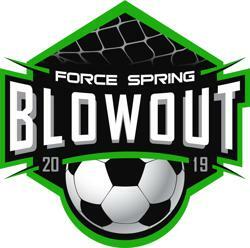 Force FC is excited to host the Force Spring Blowout for U9-U10 Rec & Academy and U11-U18 Rec and Select teams! Join us on some of the best fields in Central Texas as the grand finale to your team's Spring season! Come join us as we celebrate our Graduating Seniors and Rec Team Accomplishments after our General Assembly Meeting! CPA or relevant background or experience in accounting or finance. Please contact Jennifer Cooper if interested. Help Support GSA/FORCE at Raising Cane's! Donations from these events go to our general scholarship fund to provide scholarships to our youth. 2019/2020 Force Teams Tryout Registration! Click HERE to Register for our Force Academy! Click HERE to Register for our Force Select! Summer FIT (Academy - Alumni) - June/July - New Location! Baylor Scott & White Health is excited to be partnering with GSA again this year! BSWH licensed athletic trainer (LAT) is on-site at the GSA fields on Saturdays starting March 30th from 10AM-12:30PM. It is open to all GSA/FORCE athletes, whether they're playing games that day or they're off! From short-term or long-term injuries to skin conditions, BSWH is here to help! Look for the BSWH flag at our GSA Pavilion and bring your son or daughter by. The LAT's will be happy to evaluate and offer treatment to help them get better. Click HERE for more information about our GK Training Sessions! Women's World Cup France 2019! We are delighted to be able to offer this fantastic opportunity to travel to the South of France for the FIFA Women's World Cup in 2019 with soccer travel experts, AM Sports Tours! 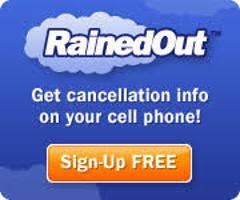 Few spots remaining! Click HERE for tour brochure and full details.